Good Morning Onward Nation…I’m Stephen Woessner. I hope you are having a wonderful week — a week filled with new opportunities in your business, new relationships personally and professionally, and yes, I even hope you have experienced some challenges along your path this week, too. Because it is through the challenges that you are given the opportunity — the blessing — to grow, to make changes, and to learn. It is through the challenges — even the fiercest of obstacles that try to impede you on your path — that is when you are truly tested – and success is right at your doorstep. You will grow the most, Onward Nation, when you are pushed to your limits — when you are…stress-tested. When I think about my darkest times as a business owner — or — when I think back to how when I was in the Air Force and situations sometimes went from bad to worse while I was working on a nuclear missile silo in South Dakota — I never quit — but more importantly — I looked at those challenges as opportunities to learn, grow, and oftentimes improve the system. But part of being able to push through the challenges and achieve success as has more to do with our mindset than external factors. It is your belief system – what you believe you can do that will largely determine if you succeed or fail. Your belief system – Onward Nation – is a complex interwoven network of inputs – your experiences – the people you spend the most time with – and so on. But there is one voice you hear and listen to most often – and this voice is the one that has the greatest amount of influence over your belief system. And that one voice is yours Onward Nation. You speak to you more often throughout the day – consciously or unconsciously – than anyone else. Your voice is the one that helps create beliefs, destroy previously held beliefs, and sets the trajectory of your life. So it matters how you talk to yourself every day, Onward Nation. How you talk to yourself – and how you can use this powerful tool of self-talk – to unlock your inner super power of success and significance – is going to be our focus in today’s solocast. To take that deeper…and to make it more personal…let me share a brief story from this past weekend. I was having a conversation, Onward Nation, with someone very close to me — and during that conversation — I said, “You are so awesome!” as I often do. I know — I know — my overuse of the word “Awesome” is indeed, not awesome. But, it’s one of my favorites…as you are very aware. Did she say that, really? Did she just say that about herself? I was mortified that she might actually believe the words she had just muttered. Being self-deprecating is one thing — and then there is being raw without any sort of filter letting true feelings to be known. And that is what this negative self-assessing comment was from her. A statement of what she actually believed. But more importantly — I now knew that she didn’t believe she was awesome. Her belief system was askew. In full disclosure…I’m not sure why I react so strongly in personal situations like this — perhaps it is because I too — as most of us have — wrestled with self-doubt, fear, self-worth, and I have worked really hard in creating the right mental scripting – the right belief system — so when I see or hear someone struggle with their own — it hurts. And the same goes for you, Onward Nation. There is nothing you cannot accomplish and achieve if you have the right mindset…which comes from the right belief system…which comes from how you talk to yourself each and every day. Lynne Lavers, our exceptional guest in Episode 299, which will air on August 11th, has the mindset that whatever she envisions as her goal will come to fruition. That the universe has somehow conspired in her favor. After spending some time with Lynne — and learning more about her business — I can see this principle playing out for her. And if the positive side of the equation is true — then there is also the negative side. If Lynne were to believe that nothing was going to go her way — that the universe was somehow conspiring against her — would she still move throughout her day with the same level of confidence, expectation, and belief system? Or, instead – would she approach her day that no matter what…her glass was half empty? Let’s dissect this further…and this time…I will take you back…sort of a blast from the past…ugh…bad pun. 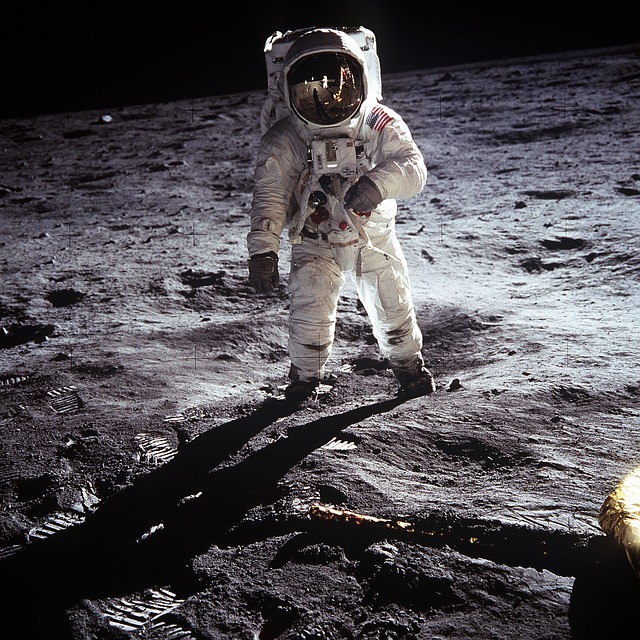 Let’s look at NASA’s Apollo astronauts — the astronauts who made it to the moon. There is much to be learned from the 12 men who walked on the moon — they achieved something spectacular — a feat many thought was impossible. Something only out of science fiction books. And yet…12 astronauts and the team at NASA accomplished the moonwalk, Onward Nation! But what happened to the 12 astronauts after achieving such an impossible feat? What successes did they go on to achieve after they left NASA? Were they successful in other areas? Several years ago, CNN ran a story that reviewed the lives of the 12 astronauts…post-moonwalk. Some of them, indeed did go on to enjoy additional successes — this time in business, politics, and other ventures. They carried the momentum of their success at NASA and transferred that into the private or public sectors. But not all of the astronauts successfully navigated the transition. Some struggled to adjust to civilian life. Many of their marriages fell apart. Some of the astronauts turned to alcohol. Some felt that they should have been paid more due to the significance of their accomplishment and were disgruntled. Why did these courageous men — these individuals who had achieved an impossible feat — then struggle through the rest of their lives? Success or failure is largely determined by our mindset – our will – our belief system – our self-talk. Some of the astronauts achieved post-NASA success because of the proper mindset – the proper scripting – while others couldn’t make the transition. You can’t always top it…you can’t always walk on the moon. You are not always going to hit a homerun at every at bat…you’re not always going to get the sale…you’re not always going to win. It is important to set our expectations high – of course – but to realize that perfection is not a reality – and that sometimes hitting a single is okay. If not, your encore will never measure up to your first act and you will be dissatisfied and your long-term belief system that creeps in will tell you that you are not as good as you once were…and that, Onward Nation, is ridiculous. So how do we create the proper mindset? How do we use the right self-talk to set ourselves up for success? Our brilliant guest, Shelley Davidescu in Episode 289 recently taught me the power behind Cognitive Rehearsal – and each of us has likely already witnessed this play out successfully in the world of sports. When we watch Michael Phelps, the most decorated and medaled athlete in Olympic history, prep for a race…what is he doing? Typically, he is sitting by himself…away from the other swimmers…eyes are closed…his music is playing through his noise-cancelling headphones…and he is rehearsing in his mind each and every stroke he is about to make in the pool. He is rehearsing — over and over and over again. And then when he dives into the pool — he executes exactly the script he created in his mind during his cognitive rehearsal. We see that play out in the pool and we marvel at his focus…he was in the zone we say…he had a mental edge over all of his competitors. VICTORY is his yet again. But let me ask you, Onward Nation — when was the last time you prepared the same way as Phelps for that big presentation or client meeting? Did you rehearse each word in your presentation? Did you hear and see yourself delivering each word overtop of each slide? Did you anticipate the questions and prepare your answers in advance? Did you rehearse your answers so they flowed naturally? Did you block out distractions with music that sparks your creativity and concentration? Or – did you prepare a slide deck the day before the meeting, cram as much research about the client as you can during your drive to their office, and then winged it? Cognitive rehearsal is a powerful form of self-talk that will help ensure your success. So…let’s go back to Phelps again for a minute. Does Phelps look to set a new world record in each race? No. How about a personal best? No. Does he look to beat the competition? Most of the time but not always. Sometimes his strategy is to come in second or third to save energy and avoid an injury. In closing…here’s the point…Phelps is in complete control of his mindset – his belief system – and how he is talking to himself during his cognitive rehearsal sessions before each race in order to create the desired result outcome. Onward Nation, you do not need to top your first act with each subsequent client meeting…or presentation. Why? Because that leads to discontent quickly. Instead…you need to get your mindset right — through the right self-talk — because that is what will help you dominate your industry just like Phelps dominates in the pool. It is not about creating an encore that tops your first act…it is about getting your mindset right so you can enjoy each and every win along the way. We will be back tomorrow with an incredible interview with Aaron Anastasi where he will share his belief regarding when we slow down — we speed up. Aaron is epic during this interview — so transparent — so genuine — he really shares all, Onward Nation. Please don’t miss tomorrow’s episode.